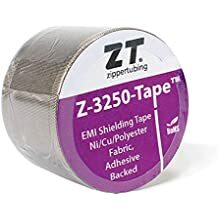 Z Block 135 - Heat Shrink Wrap - Heat Shrink - Products - ZT | Zippertubing Co.
Z-Block® is a water-blocking heat shrink electrical tape specifically engineered for your wires and cables. This product is comprised of a non-corrosive polyamide, high-flow, hot-melt adhesive that is simply melted by using a standard heat gun. The operational temperature range of Z-Block® (135) is -55° to 135°C (-67° to 275°F). 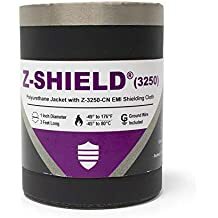 By using a secondary jacket, or by using any of Zippertubing's heat-shrink products, the Z-Block® hot melt adhesive tape will create an all-around environmental seal that will prevent any water from penetrating your wire or cable. Z-Block® is compatible with polyolefin, polyvinyl chloride (PVC), and EVA-type heat-shrinkable tubing. Because the product is non-corrosive, you'll never need to worry about your wires that are copper or aluminum metal substrates. You now have the ability to water block your single conductor, multi-conductor or your multi-strain cables with ease. Whether you are looking for Zippertubing's Z-Block® in spool form, or to integrate Z-Block® with PRT® wrap-around heat-shrink tubing, we have the perfect solution for you and your application.